What new shows are coming to Cartoon Network? Recently, the network announced their programming lineup for the 2017-2018 season. New shows include Apple & Onion, Craig of the Creek, Summer Camp Island, and Ben 10. · Apple & Onion – Being new and naïve to the ways of the “big city of sophisticated food” doesn’t stop the wide-eyed enthusiasm of the lovable buddies Apple and Onion who are destined to find their way and make lots of friends on their incredible adventure of life. The friendship comedy is created by George Gendi (The Amazing World of Gumball). · Craig of the Creek – At the Creek, the rules of the outside world don’t apply in this kid utopia of untamed wilderness where Craig and his two best friends have ventured and tribes of children reign over tree forts and dirt bike ramps. The adventure series is created by Matt Burnett and Ben Levin, formerly from Steven Universe. · Summer Camp Island – Having completed a momentous and critically acclaimed run at this year’s most notable festivals including the Sundance Film Festival and SXSW, this wildly imaginative animated series, based on the original Cartoon Network short, will continue unfolding the mysteries that Oscar and his best friend Hedgehog encounter at a magical summer camp. The series hails from creator Julia Pott (Adventure Time). · OK K.O.! Let’s Be Heroes – Cartoon Network powers up a world of original heroes across the TV and gaming landscape together with the greenlight of this action-packed comedy followed by the console and PC game jointly developed with indie video game studio Capybara games. The knockout series is inspired by creator Ian Jones-Quartey’s childhood and follows the heroic feats of K.O., an endlessly optimistic boy attempting to level up to be the best he can be in a dynamic universe of heroes, friends and challenging foes. The series builds on OK K.O.! Lakewood Plaza Turbo, the network’s first original standalone mobile game and was developed from a pilot that was part of Cartoon Network’s Emmy Award-winning shorts program. · Ben 10 – The newest show coming out of the highly successful franchise has launched multiple animated series, and numerous animated and live-action movies. Playmates Toys serves as the worldwide master toy partner for the new Ben 10 with a full line of toys based on the show that will include a range of figures, playsets, and role-play items set to launch at retail globally this fall. The wild adventures begin debuting Monday, April 10 and will introduce fun loving, 10-year-old, Ben Tennyson, his cousin Gwen, and Grandpa Max, as they traverse the country during summer vacation. Once Ben finds the Omnitrix, a mysterious watch that transforms him into 10 different heroic aliens, a world of extraterrestrial superpowers opens to him, which kids of all ages will admire. Ben 10 is created by and executive produced by Man of Action Entertainment. What do you think? Do you watch Cartoon Network? Which new shows will you watch? 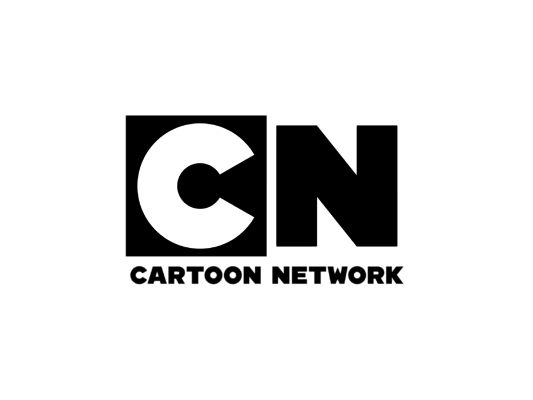 More about: Apple & Onion, Apple & Onion: canceled or renewed?, Ben 10, Ben 10: canceled or renewed?, Cartoon Network TV shows: canceled or renewed?, Craig of the Creek, Craig of the Creek: canceled or renewed?, Summer Camp Island, Summer Camp Island: canceled or renewed?